Pentruder concrete cutting equipment is shipped world wide on a daily basis. We are a constantly growing family, and the Pentruder machines are currently used in over 40 countries. Pentruder products are built to last. With the right maintenance it will be a productive tool for years and years. 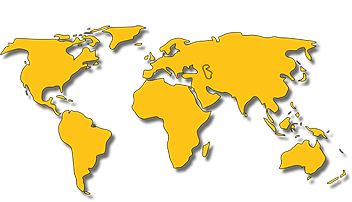 Service workshops with Pentruder trained and authorized technicians are located in over 25 countries. Pentruder is designed av manufactured by Tractive AB, a Swedish family owned company. The production of the Pentruder Concrete Cutting Systems are located in Borlänge, Sweden, 200 km North West of Stockholm.